On this page, you can find a number of topics for which we are looking for a student who is interested in working on them as part of their thesis (bachelor or master). However, this list is by no means exhaustive. In fact, we always have many more topics available. So, please also check out our research projects; a lot of thesis topics are connected with those projects (and you have the benefit of participating in real, current research). In addition, there are quite a few "free floating" topics, which are neither to be found on this web page nor are they connected with research projects; those are ideas we would like to try out or get familiar with. Finally, if you have an idea that you think fits well with the profile of our lab (CGVR), please talk to us. If you would like to talk to us abouth thesis topics, just make an appointment with one of the project members or PhD candidates. You can also come to my office hours (mondays 6pm - 8pm, no appoitment needed). I recommend to write your thesis using LaTeX! There are no typographic requirements regarding your thesis: just make it comfortable to read; I suggest you put some effort into making it typographically pleasing. If you are interested in doing your thesis abroad, please talk to us, we might be able to help with establishing a contact. You also might want to look for financial aid, such as this DAAD stipend. If you are interested in doing your thesis at a company, we might be able to help establish a contact, for instance, with Kizmo, Kuka (robot developer), Icido (VR software), Volkswagen (VR), Dassault Systèmes 3DEXCITE (rendering and visualization), ARRI (camera systems), Maxon (Hersteller von Cinema4D), etc. For printing your thesis, you might want to consider Druck-Deine-Diplomarbeit. We have heard from other students that they have had good experiences with them (and I have seen nice examples of their print products). Also, there is a friendly copy shop in Wiener Str. 7, on the campus. The aim of this project is to develop software for searching and analyzing Rocaille forms, such that it facilitates the comprehension of, motives, composition form-related transfers, and attributions. 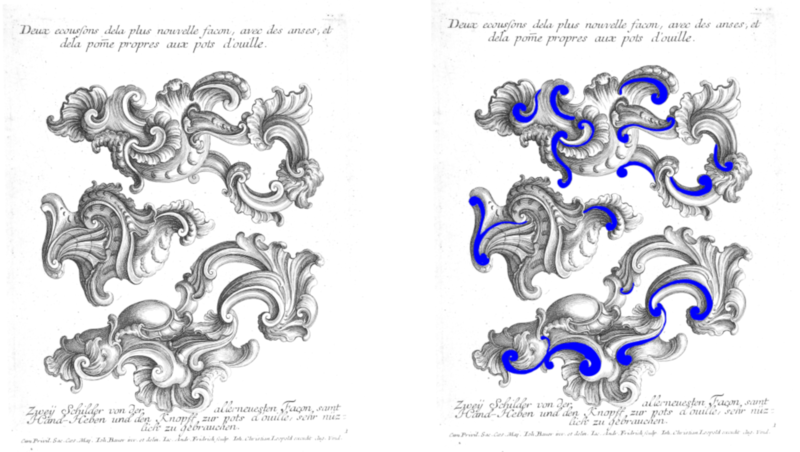 The Rocaille can be described as a freely-constructed, mostly asymmetrical base frame consisting of volute-like shapes— i.e. C- and S-shaped scrolls—which is marked by mostly independent and dominant extensions. All objects from the field of architecture, the applied arts, and all picture frames can be designed in this way: by employing a subtle form of the Rocaille to accentuate individual aspects, using ornamental exaggeration or constructing objects by means of the Rocaille itself. Methods developed in this thesis could, for instance, be used in art historical databases such as Prometheus or applied to the ever-growing offers on the internet. They will help to answer questions critical to art history such as the relationship between the analysis of form and meaning. The goal is to develop algorithms that can learn the appearance, forms, and composition of the different parts of Rocaille art. 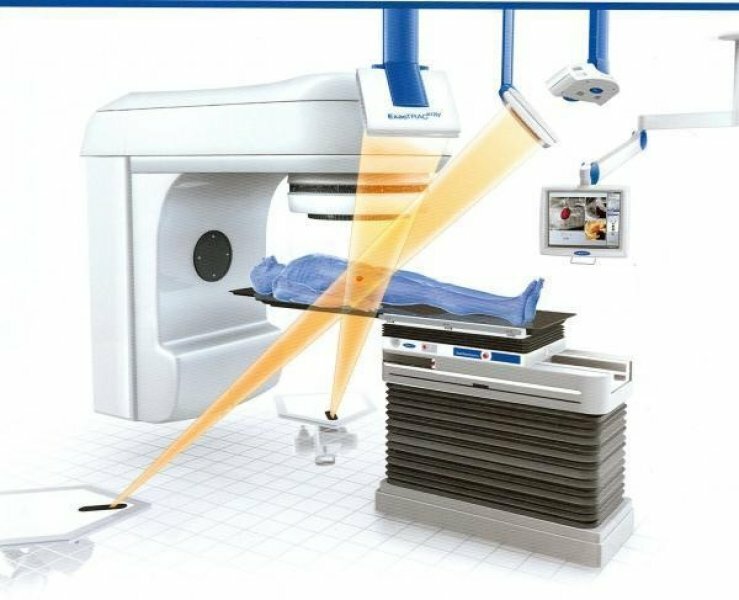 In radio therapy, tumors or other unheathly tissue is irradiated by a beam (or several beams) of high-energy electromagnetic (radio) waves. If the irradiated energy is large enough, then the unhealthy tissue is "killed", Of course, there is a challenge: the radio beams should hit all the unhealthy tissue, but only that one &emdash; it should leave the healthy tissue intact. 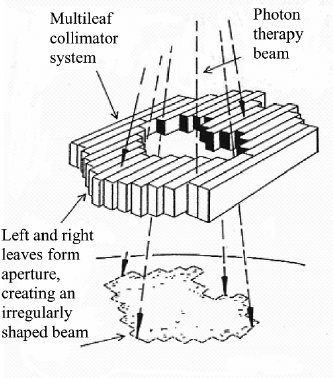 The beams are usually generated by linear accelerators, and the cross section of the beams can be shaped by multi-leaf collimators (think "frustum through arbitrarily shaped window"). 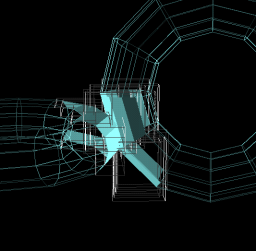 In addition, it is possible to overlap several beams coming in from different angles, where the goal is to make the shape of the intersectoin volume as close to the treatment volume as possible. Then, it is easier to adjust the energy of the beams such that the sum of the energies in the intersection volume reaches the level where it can kill the unhealthy tissue, while the energy is below the threshold where it would harm the healthy tissue. A further challenge arises from the characteristics of proton beams (which are usually used in this kind of therapy): they lose energy as they enter the tissue, but the energy loss does not depend linearly on the penetration depth ("Bragg peak"), and they spread out as they go deeper. 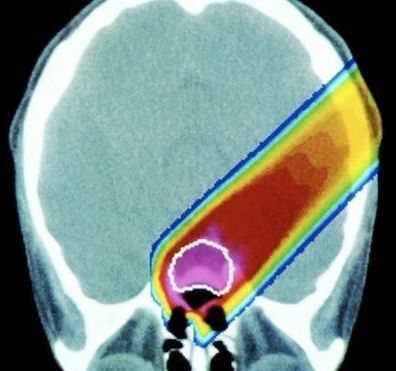 The goal is to develop algorithms that can compute the optimal positions and energy levels of the proton beams, given a specific target volume (tumor), healthy tissue, and bones in the form of a CT or MRI volume. 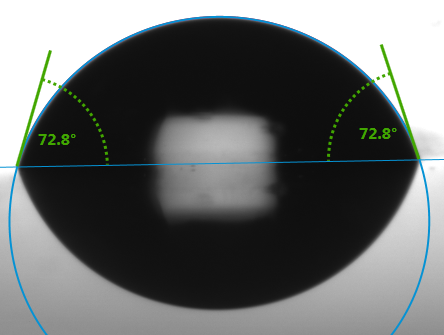 Investigate a ray-tracing approach (inside out); the idea is to shoot rays from the target volume outwards, taking scattering and dissipating effects into account. 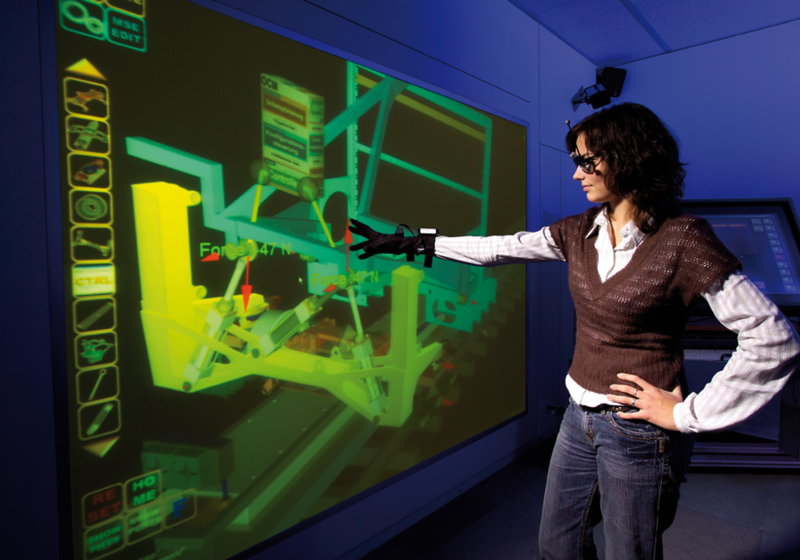 For a natural experience in virtual reality, interaction with virtual objects is done by grasping them. In order to do so, it is necesary to infer the position of the virtual hand (including fingers and joints) by tracking the real hand. 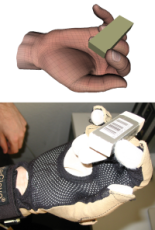 In our group, tracking is currently done by using a glove-based system (Cyberglove). Because this has several limitations (e.g., accuracy and obtrusiveness), we need a better method for tracking. 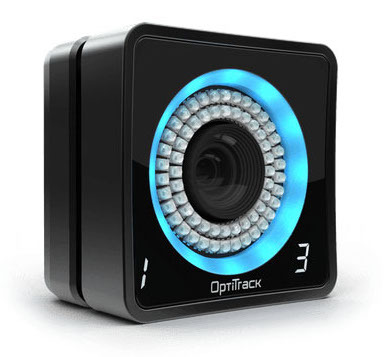 This thesis aims to develop a more precise tracking method using optical markers and the OptiTrack system. Die BMW Group bietet dir eine Studienabschlussarbeit im Zentrum für Fahrsimulation, Forschung, neue Technologien und Innovationen. Im Rahmen deiner Arbeit begleitest du uns bei der Weiterentwicklung von Virtual Reality (VR) Methoden in der Fahrsimulation, welche u.a. ein immersiveres Fahr- und Innenraumerlebnis sicherstellen. Weiterhin bist du in die Erarbeitung einer Technologie eingebunden, welche die Evaluierung von Fahrzeuginnenraumkonzepten mittels VR in einem Realfahrzeug ermöglicht. Die Zusammenarbeit mit den internen Fachgruppen rundet deine Aufgaben ab. Studium der Medieninformatik, Digitalen Medien, Informatik oder ein vergleichbarer Studiengang. Fundierte Kenntnisse im Bereich Virtual Reality. Erweitere Kenntnisse von Graphik- und Multimedia- Anwendungen. 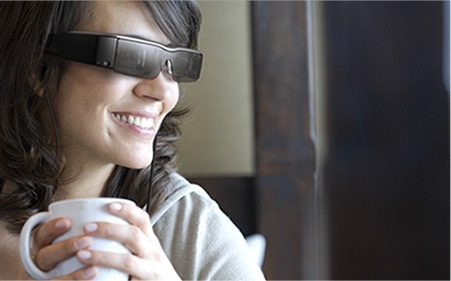 Kenntnisse im Umgang mit Game-Engines, Visualisierungs- software, Motion Tracking sowie Head Mounted Displays. Erweiterte Programmierkenntnisse in C, C# und Python. Volkswagen ist einer der größten Automobilhersteller der Welt - werden Sie Teil davon! Wir bringen innovative Ideen zur Serienreife, damit jeder davon profitieren kann. Effiziente und nachhaltige Technologien kennzeichnen nicht nur unsere Produkte, sondern auch deren Entstehungsprozess. Und weil jeder Volkswagen nur so gut ist wie die Menschen, die dahinter stehen, bieten wir jedem einzelnen Mitarbeiter optimale Entwicklungsperspektiven. Wenn Sie mit uns gemeinsam die automobile Zukunft gestalten wollen - steigen Sie ein. Für unser junges, engagiertes Team im Bereich Visuelle Kommunikation suchen wir für den Zeitraum von mindestens 5 Monaten studentische Verstärkung. Unser Tätigkeitsfokus liegt auf der Produktion von Bildern und Filmen zur Kommunikation technischer Sachverhalte. Wieviel und welche Art der Interaktion ist in einer Animation sinnvoll? Führt Interaktion im Film zu einem besseren Verständnis, wann wird sie als störend empfunden? Welche Freiheitsgrade kann ich einem Betrachter der Animation einräumen, wie muss genau dies eingeschränkt werden? Welche Vor/Nachteile erfahren Betrachter und Produzent? Develop a real-time simulation of arrays of LED-spotlights. Light-field projectors are small units of LED lights with a system of lenses which make it possible to control the direction of the spotlight emitted by the LEDs. Big arrays of those projectors might open up numerous possibilities, including the autonomous illumination of surgical sites during open surgeries. To test the viability of this approach you would implement a system of shaders to visualize these very special kinds of lights and integrate them into the unreal engine. Autonomous lighting of the surgical site in the OR (as developed in the project ASuLa) depends on the acceptance of the surgeon. One part of that acceptance is that the lamps should not move while the surgeon is concentrating on the surgical site. 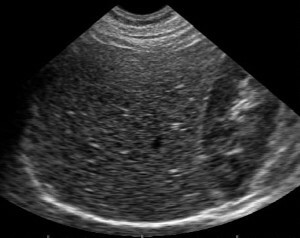 Currently, a prototypical implementation of an algorithm to detect when the surgeon is looking at the site or not is in place. This algorithm just detects if the head is pointing towards the site. A more elaborate algorithm would also include the hands of the surgeon. Your task is to 1) extend this existing algorithm to detect when surgeons are actively working on the surgical site and 2) evaluate the usefulness of this algorithm in a user study. The Valles Marineris is a huge system of canyons that spans over almost a third of the surface of Mars. This is the proposed mission site for the Valles Marineris Explorer (short: VaMEx). Currently, the CGVR group is developing a virtual testbed for this mission. Part of this testbed is the terrain and features of the Valles Marineris. Your task is to recreate a small part of the Valles Marineris based on the data already in the testbed and aditional data available through NASA like digital terrain models (DTMs), satellite images and images taken by the various rovers on the surface of Mars. The recreation should include a terrain model, textures for the terrain as well as terrain clutter. Develop an auto-packing system that will pack various shaped 3D objects into a volume efficiently and with the least amount of empty space between objects. Your task is the development of a system that will automatically pack various shapes into an existing volume as efficiently as possible. For this specific project we will work with 25 unique 3D scans of fruits and have them packed as tightly as possible within a volume of an enlarged hand so that the forms do not collide or overlap. The percentage of the various 3D fruits is predetermined. Like fruits should be positioned as far apart from one another as possible. The final form will eventually be CNC cut from foam and cast in bronze for a public artwork. Please see the sketch attached along with an image of a gravity test. (Note: Gravity is not a sufficient solution as it does not pack objects efficiently and in all directions). Die vr-on GmbH mit Sitz in Herrsching am Ammersee bietet individuelle und umfassende Virtual- und Augmented-Reality Lösungen für Kunden im B2B Bereich (hauptsächlich Automotive und Aerospace). 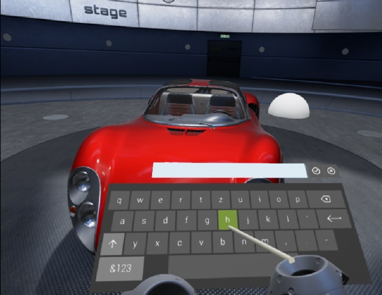 Neben der Entwicklung von kundenspezifischen Anwendungen wollen wir Computerspiele Engines bei professionellen Virtual- und Augmented-Reality Anwendern etablieren. Dafür entwickeln wir eine eigene Software auf Basis der Unreal Engine. Die vr-on GmbH entwickelt das System stage, welches eine Kollaboration innerhalb von VR bei der Entwicklung neuer Produkte unterstützt. Anwender können dabei Produktdaten visualisieren, Varianten schalten und Annotationen erzeugen. Annotationen stellen dabei virtuelle Post-Its dar, die auf Problemstellen am Modell hinweisen und neben dem Ort auch eine Textinformation beinhalten. Diese Textinformation wird aktuell mit Hilfe der physischen Tastatur (Bildschirm) und mit Hilfe einer virtuellen Tastatur eingegeben. Die Eingabe von längeren Texten ist dabei wenig benutzerfreundlich. Im Rahmen dieser Arbeit soll das Microsoft Speech SDK an das System stage abgebunden werden. Dies soll sowohl die Eingabe von Texten für Annotationen ermöglichen, als auch als Sprachausgabe von Texten genutzt werden können. Letztere soll perspektivisch im Bereich der Online Hilfe eingesetzt werden. Der Schwerpunkt der Arbeit liegt in der Anbindung und Nutzung der Spracheingabe. Nach der Anbindung der Spracherkennung, soll untersucht werden, welche unter anderem Möglichkeiten der Anwendungssteuerung sich durch die Spracherkennung ergeben. Mit diesen Erkenntnissen soll ein Szenario aufgebaut werden, anhand dessen Benutzerstudien durchgeführt werden können. Innerhalb der Benutzerstudien sollen Vergleiche zwischen der bisherigen Anwendungssteuerung und Texteingabe mit Hilfe von Zeigestrahl und Taste und der Eingabe mit Hilfe der Sprache erfolgen. Dabei sind sowohl die Interaktionszeiten als auch Parameter zum Anwenderkomfort zu erheben. Die Bewerber sollten fundierte Kenntnisse im Bereich C++ Entwicklung mitbringen. Kenntnisse im Bereich von Computerspiele Engines sind gewünscht. Teamfähigkeit, Einsatzbereitschaft und Kommunikationsfähigkeiten werden erwartet. Heutige VR Systeme weisen einen umfangreichen Funktionsumfang auf. Viele diese Funktionen sind nicht intuitiv und erfordern Expertenwissen. Werden manche Funktionen nicht regelmäßig verwendet, so fällt es dem Anwender schwer diese zu nutzen. Heutige Systeme unterstützen den Anwender in der Benutzung nicht, da innerhalb der VR System z.B. keine Online Hilfe verfügbar ist. Im Rahmen dieser Arbeit soll untersucht werden, wie dem Anwender eine Online Hilfe angeboten werden kann. Hierbei muss davon ausgegangen werden, dass die Hilfe-Informationen in einem separaten System, wie einer Datenbank oder als Webseite, gespeichert sind. Es muss untersucht werden, wie diese externen Inhalte an das VR System angebunden werden können. Objekt bezogen (welche Art von Objekt ist es, was kann ich mit dem Objekt machen). Anschließend muss der Anwender die benötigte Information auswählen können. Das System muss ihm schließlich die Information in geeigneter Weise darbieten. Für die unterschiedlichen Aspekte sind Konzepte zu entwickeln und zu bewerten, wobei unterschiedliche Ausgabe- und Eingabegeräte zu berücksichtigen sind. Eine praktische Umsetzung soll auf Basis der Unreal Engine erfolgen. 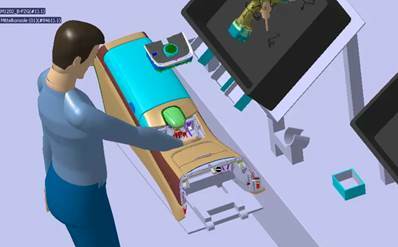 Enable spacecraft engineers to assemble spacecraft immersively and interactively in a virtual environment. Your task is the development of suitable 3D interaction metaphors using a CyberGlove and the integration of required technologies (collision detection, CyberGlove tracking, HMD support) into one prototype application in Unreal Engine. Additionally, the protoype should portray several realistic use cases (e.g. feasibility of sensor and actuator assembly, mass distribution, ...). 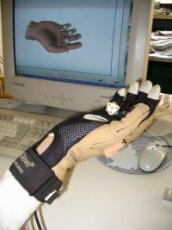 Several libraries for CyberGlove tracking and collision detection exist in our research group and can be directly used. Your work directly resides in a current research project with the German Aerospace Center (DLR). Contact and support from spacecraft engineers is intended throughout the thesis work. In dieser Arbeit sollen Machine_Learning-Verfahren zur robusten Detektion von Tropfen in Kamerabildern untersucht werden. Ziel der Detektion ist es, sowohl die Kontur des Tropfens (Kontaktfläche Tropfen-Luft) als auch die sogenannte Basislinie (Kontaktfläche Tropfen-Festkörper) zu bestimmen. Da oftmals auch das dynamische Verhalten eines Tropfens gemessen wird, ist die Laufzeit ein wichtiges Kriterium. Deshalb sollen die Methoden auf ihre Tauglichkeit zur Parallelisierung untersucht und ggf. ein massiv paralleles Verfahren implementiert werden. Wir bieten Ihnen eine anspruchsvolle, interessante und abwechslungsreiche Aufgabe in einem dynamischen und innovativen Umfeld sowie ein motiviertes Team innerhalb einer gemeinschaftlich gestalteten Unternehmenskultur. Flexible Arbeitszeiten und kurze Entscheidungswege ermöglichen sehr eigenverantwortliches Arbeiten und viel Gestaltungsspielraum. Zu Beginn der Arbeit sollte der/die Masterstudent/in für 1 Woche Vollzeit in der Firma arbeiten. Während der gesamten Bearbeitungszeit sollte der/die Masterstudent/in mindestens für 1 Tag alle 2 Wochen in der Firma arbeiten. Für mehr Informationen bitte hier schauen. 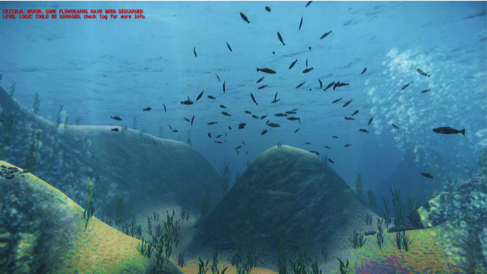 Develop a prototype of an HMD that works underwater. Approach could be similar to Google cardboard or Gear VR. Demonstrate it using a simple coral reef VR simulation (already existing). Nice to have is a bit of experience with programming in the Unreal environment. Grasping is one of the most important methods for humans to interact with the environment. However, in virtual reality simulations grasping is still a big challenge. 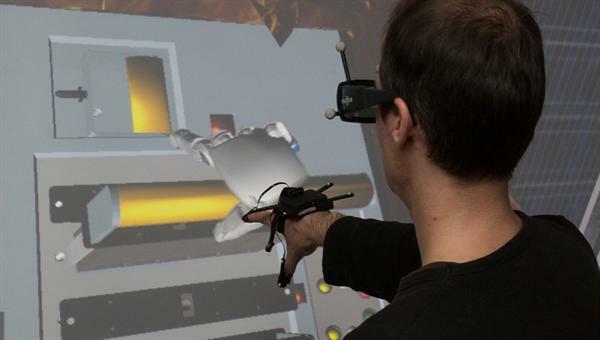 Projection-based immersive virtual environments usually lack haptic feedback for the users. In order to solve this problem, we developed a small, light-weight and wireless prototype device for electro-tactile feedback. Your task during your master thesis will be to improve the current rigid body simulation in order to get a more realistic, physically based behavior. You will do an in-depth literature research and create a metric to evaluate already developed algorithms. Afterwards you will select one algorithm and improve it. 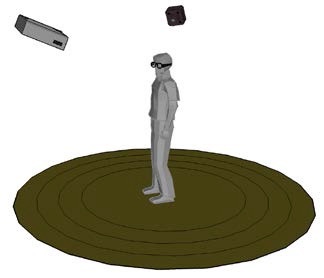 At the end of your master thesis you will extend our virtual reality software framework and evaluate the users’ acceptance of your algorithm in a user study. 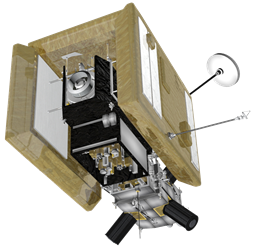 The goal of your work will be to improve grasping for on-orbit servicing missions in immersive virtual environments. 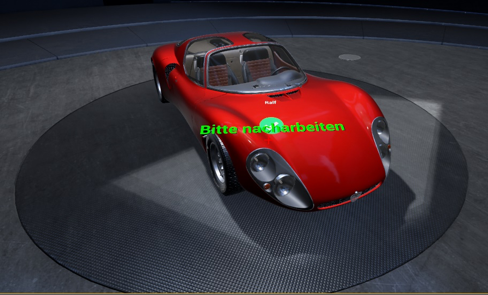 Nice to have is experience with physics engine. Im Rahmen dieser Arbeit soll untersucht werden, inwiefern sich mehrere räumlich zueinander registrierte Kinect Sensoren für ein robustes, markerloses Menschtracking innerhalb der manuellen Endmontage eignen. In diesem Zusammenhang ist ein Ansatz zu entwickeln, der das Skelett einer Person mithilfe von fusionierten Punktwolken rekonstruiert, die aus mehreren Tiefenbildkameras aufgenommen werden. Die Fusionierung mehrerer Punktwolken aus mehreren Kinect-Kameras ist bereits verfügbar. Das Hauptaugenmerk der Arbeit soll - im Gegensatz zu dem proprietären Skelettracking der Kinect - auf der Robustheit gegenüber Verdeckungsgeometrien liegen, die sich im getrackten Raum befinden, da zu erwarten ist, dass in realen Anwendungen die zu trackende Person häufig teilverdeckt ist. Darüber hinaus wäre interessant zu untersuchen, welcher Detaillierungsgrad des menschlichen Bewegungsapparates mithilfe dieser Technik rekonstruiert werden kann und welche zusätzlichen Informationen über den jeweiligen Werker abgeleitet werden können. Die Arbeit soll in enger Abstimmung mit der Forschungs- und Entwicklungabteilung Production-oriented Product Validation der Daimler AG durchgeführt werden. 2D Ansätze, z.B. : N. Hasler, B. Rosenhahn, T. Thormählen, M. Wand, J. Gall, and H.-P. Seidel: Markerless motion capture with unsynchronized moving cameras. 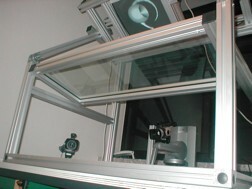 In Computer Vision and Pattern Recognition, 2009. CVPR2009. IEEE Conference on, pages 224–231, 2009. 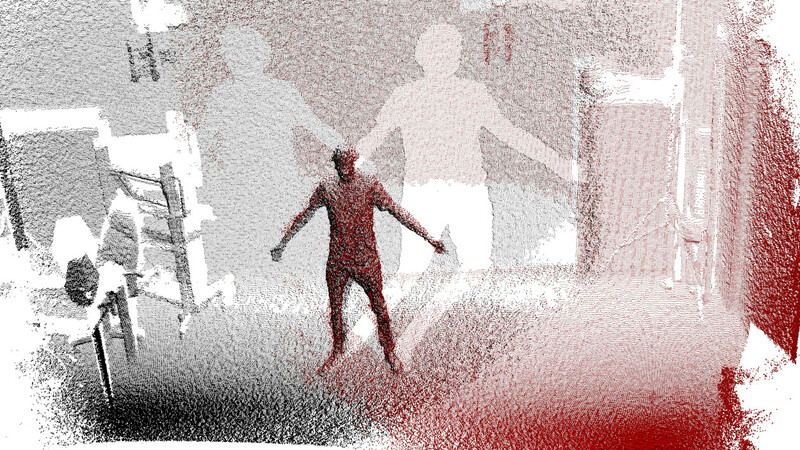 Kinect Skelettracking, z.B. Jamie Shotton, Ross Girshick, Andrew Fitzgibbon, Toby Sharp, Mat Cook, Mark Finocchio, Richard Moore, Pushmeet Kohli, Antonio Criminisi, Alex Kipman, and Andrew Blake: Efficient human pose estimation from single depth images. Trans. PAMI, 2012. Handtracking Uni Bremen, z.B. Daniel Mohr and Gabriel Zachmann: Hand Pose Recognition — Overview and Current Research, 2013. J. Sell and P. O’Connor: The xbox one system-on-a-chip and Kinect sensor. Micro, IEEE, 34(2):44–53, 2014. Ziel der studentischen Arbeit ist es zu untersuchen, wie gut Bewegungen eines virtuellen Werkers auf Kollisionen mit Objekten einer starren Szene geprüft werden können. Dabei soll das am Lehrstuhl für Computergraphik und Virtuelle Realität entwickelte Verfahren, basierend auf Kugelfüllungen, verwendet werden. Die Werkerbewegungen stehen dabei als Menschmodell mit Gelenkwinkeltrajektorien zur Verfügung. Es sollen sowohl die kollidierenden Objekte als auch die kollidierenden Körperteile identifiziert werden. Insbesondere soll die Beziehung zwischen Genauigkeit und Rechenaufwand für Szenen aus der Automobilmontage analysiert werden. Arbeit zu dokumentieren und zu diskutieren. Ergänzend soll untersucht werden, ob und wie der Ansatz der Kugelfüllungen zur Kollisionsauflösung, d.h. zur Behebung von Kollisionen geeignet ist. Dabei können auch Kombinationen mit anderen Ansätzen in Betracht gezogen werden. Die Beispielszenen sind bereits erstellt und für die Untersuchung verfügbar. Sie liegen aktuell im JT-Format vor. Die Konvertierung in ein anderes Format sollte nicht Bestandteil der Arbeit sein. Entweder wird direkt per JT Open von Siemens PLM auf die JT-Dateien zugegriffen, oder die Dateien werden dem Studierenden im Vorfeld der Arbeit in einem anderen Format (z.B. Collada) bereitgestellt. Es liegen bereits Aussagen zur Performance der Kollisionserkennung der Bullet-Engine vor. Wir suchen jemand, der/die folgende Forschungsfrage bearbeiten möchte: Wir nehmen an, es gäbe Quadcopter-Systeme (UAVs), die automatisch um ein auf einem Flugplatz parkendes Flugzeug (z.B. eine A380) fliegen können, dieses dabei mittels Kameras, Time-Of-Flight-Kameras und/oder Lidar einscannen können, und damit das Flugzeug auf Schäden an der Außenhülle untersuchen können. Wie groß wäre das Marktpotential für solch eine Technologie? Dabei soll es zum einen um das Marktpotential aus Sicht einer Quadcopter-Firma gehen (Verkauf der Systeme), zum anderen aus Sicht der Airlines und Flughafen-Gesellschaften (Reduzierung der Down-Times). Am Schluss sollten konkrete Zahlen (Schätzungen) herauskommen. es gibt im Moment ein starkes Interesse an solch einer Technologie sowohl von Seiten der Airlines, als auch von Seiten der Flugzeug-Bauer. Das Window-of-Opportunity scheint sich im Moment auch insofern gerade zu öffnen, als die dazu nötigen Basis-Technologien allmählich weit genug entwickelt sind, um solche Systeme in absehbarer Zukunft zu bauen. Diese Frage kann man, je nach Ausbaustufe, im Rahmen einer Bachelor-Arbeit, Master-Arbeit, oder Independent Study angehen. Aircraft can be damaged in-service (for instance, by ground staff when loading/unloading the aircraft). 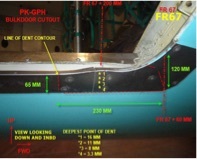 The airline has to inspect their aircraft for damages. For some areas, for example at the top shell, it is not easy to detect and, in any case, the detection is a time consuming process. The use of a quadcopter or a climbing robot could bring advantages in term of accessibility and time savings. 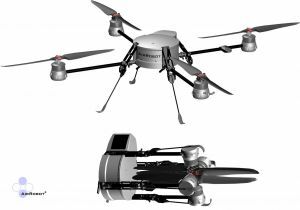 The drone or robot has to be equipped with a device which is able to film/scan/capture damages for subsequent analysis (either by humans or automatically). Damages can be dents, scratches, corrosion, burn marks due to a lightning strike, delamination, etc. The aim of the project is to develop the concept of a device, which is capable to detect such kinds of damages, and to implement a first prototype. For a lightning strike, a picture from a regular camera (e.g., Alpha Sony 7) can be sufficient. However, it is not capable to capture dents or scratches. Evaluation of the complete system regarding future potential in everyday damage assessment, ease-of-use, and future research challenges. The work will be carried out mostly in Bremen with visits to Airbus, Hamburg, as often as necessary. For more information please see the detailed description. Die aktuellen Entwicklungen um Google Glass & Co. beleben derzeit den Markt der Datenbrillen. Dadurch sind neue Einsatzszenarien möglich, bei denen Datenbrillen in jeglichen Lebenssituationen genutzt werden. In der hier ausgeschriebenen Arbeit sollen verschiedene Trackingverfahren analysiert, ein System in einen Aufbau mit besonderen Rahmenbedingungen integriert und an die Datenbrille angebunden werden. Danach gilt es, Konzepte für kongruente Anzeigen im realisierten Aufbau zu entwickeln und eine davon prototypisch umzusetzen. Es existieren bereits diverse interne Vorarbeiten, auf die bei der Themenbearbeitung aufgesetzt werden kann. Das Erstellen der Arbeit wird im VRLAB der Konzernforschung der Volkswagen AG in Wolfsburg durchgeführt und wird vergütet. In der Medizin ist das Detektieren und Klassifizieren von Organen von entscheidender Bedeutung. Zum Beispiel benötigt ein Chirurg während der OP die genaue Position des Zielorgans inklusive der zu entfernenden Teile (z.B Lesionen in der Leber). In der Regel wird als Bildgebendes Verfahren Ultraschall verwendet, da dies Echtzeitfähig ist. Das Problem beim Ultraschall sind das schlechte Signal-zu-Rausch Verhältniss und der geringe Kontrast. In dieser Arbeit soll in Zusammenarbeit mit dem Mevis ein robustes Verfahren zur Detektion und Klassifizierung von Lesionen in der Leber entwickelt werden. Zur Zeit werden die Positionen der Lesionen von einem Mediziner von Hand markiert und dann mit speziellen, vom Mevis entwickelten, Verfahren in Echtzeit getrackt. Das Hauptproblem ist der Vorgang der manuellen Markierung der Lesionen, da dies durch den hohen Zeitaufwand für Mediziener und Patient sehr mühsam ist. Hier wollen wir Abhilfe schaffen und die manuelle Markierung durch ein Verfahren ersetzen, dass das Trackingverfahren des Mevis mit Machine Learning Algorithmen kombiniert. Am vielversprechendsten sind hier Random Forests. Random Forests sind eine Menge von Entscheidungsbäumen die auf einer Kette von einfachen Tests basieren. Der Hauptvorteil der Random Forests ist die Generalisierung, d.h. sie funktionieren robust für neue Daten (Ultraschallbilder), die nicht während des Trainings verwendet wurden. Dies ist in der Praxis ein essentielle Eigenschaft. Entwicklung eines Verfahrens zur Detektion und Klassifikation von Lesionen in der Leber durch Kombination von speziellen auf Ultraschall optimierten Similaritätsmaßen und Maschine Learning Verfahren. Das Leibniz-Zentrum für Marine Tropenökologie (ZMT) forscht über Küstenökosysteme in den Tropen und ihre Reaktion auf Änderungen in ihrer Umwelt. Basierend auf realen Daten zur Interaktion von Korallen und ihrer Reaktion auf Umweltveränderungen ist am ZMT ein abstraktes Simulationsmodell eines Korallenriffes entstanden, das zeigt, wie es sich unter Einfluss verschiedener Stressfaktoren entwickelt. Zur besseren Veranschaulichung soll auf Basis des vorhandenen Wissens über die Abläufe in Korallenriffen eine dreidimensionale virtuelle Umgebung (ggf. auch immersiv) geschaffen werden, mit der interaktiv die Entwicklung des Riffs beeinflusst und naturnah verfolgt werden kann. 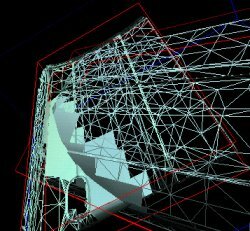 Programmierung von 3D Simulationen ausgewählter Rifforganismen, wie z.B. verschiedener Korallenarten und Rifffische. Insbesondere sollen dabei die Regeln und Algorithmen des ZMT umgesetzt werden, die Veränderungen dieser Organismen unter Einfluss von Umweltstressoren beschreiben. Entwicklung von Algorithmen zur Darstellung von Veränderungen ausgewählter 3D simulierter Rifforganismen. Integration verschiedener, ausgewählter Rifforganismen in eine gemeinsame virtuelle Umgebung. Entwicklung und Implementierung von Interaktionsmetaphern, die es z.B. Ausstellungsbesuchern erlauben, sehr einfach und intuitiv mit der virtuellen Umgebung zu interagieren (z.B. Navigation) und Umweltfaktoren (z.B. Temperatur) zu verändern. 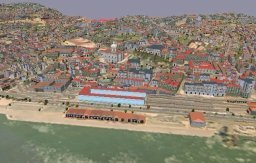 Kenntnisse in der Modellierung von 3D Objekten mit Maya oder 3DS Max. Erfahrung mit Game-Engines (z.B. Ogre3D, Unity, CryEngine) und der Programmierung in diesen API’s bzw. Frameworks. Je nach Schwerpunkt und Studiengang liegt die Betreuung überwiegend bei der AG Computergraphik und Virtuelle Realität oder beim ZMT. In vielen Produktionsprozessen werden Arbeitsschritte von Robotern übernommen. Dabei führen die Maschinen mitunter komplexe Bewegungsabläufe aus, die der Art wie Menschen mit ihren Händen arbeiten nicht unähnlich ist. Schließlich verfügen Menschen über ein hochausgebildetes kognitiv-motorisches System zur Manipulation ihrer Umwelt. Hieraus motiviert sich ein Ansatz der Robotik, menschliche Tätigkeiten als Vorlage für die Planung von Robotersteuerung zu nehmen, also dass Roboter Bewegungsabläufe von Menschen „lernen“. Ein bisher selten verfolgter Ansatz ist es, innovative Techniken zur Animationserstellung (Direct Animation) für die Pfadplanung von Robotern zu verwenden. So könnten z.B. Menschen mittels Touch- oder 3D-Eingabegeräten die Bewegung von realen oder virtuellen Roboterarmen interaktiv wie eine Gliederpuppe steuern (Digital Puppetry). Wird dies aufgenommen, kann die Bewegung wieder abgespielt werden und durch erneute Steuerung in weiteren Layers oder Passes erweitert und verfeinert werden (Layered Animation). Mittels intuitiver Methoden wie Dragimation können zeitliche Abläufe dieser Bewegungen einfach und schnell angepasst werden. Die Arbeitsgruppe Digitale Medien und die Arbeitsgruppe Computergraphik und Virtuelle Realität suchen nach AbschlusskandidatInnen, die Interesse an einer Arbeit in diesem Themenbereich haben. 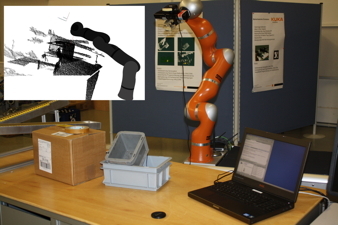 Ziel ist es, Interaktionstechniken zur Steuerung von Robotersimulationen zu entwickeln und zu evaluieren. Konzepte und Techniken der Direct Animation sollen dabei Modell stehen. Konkret sollen verschiedene Ansätze entwickelt, in vorhandene Systeme integriert, und auf ihre Eignung für die Roboter-Pfadplanung untersucht werden. Dabei spielen ebenso Themen wie Motion Capture eine Rolle wie Aspekte der Computersimulation (etwa Kollisionserkennung). Traditional, mostly heterogenic and inefficient, controller input devices and 2D representations of a 3D world make it challenging to maintain the growing traffic complexity. 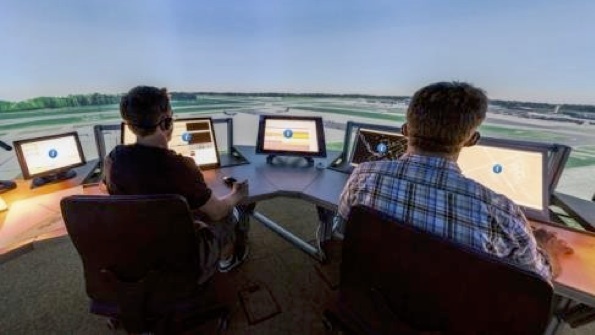 The idea behind this Master’s project is to look at future air traffic control workspaces utilizing immersive virtual reality technology to visualize the airport within an immersive display, such as CAVE, Powerwall or L-Bench, and to display trajectories of air traffic in 3D with which the user can intuitively interact, e.g. freely change the view and when flight path collisions are detected simply grasp “in the air” to select an airplane and reassign it to a new trajectory. Weltweit setzt die KUKA AG Maßstäbe in der Robotertechnologie. Wir sind ein global expandierendes Unternehmen im Bereich Robotik und Automatisierungstechnik. Die steigende Komplexität moderner Fahrzeuge zählt heute zu den wesentlichen Herausforderungen der Automobilentwicklung. Ein Faktor für diese hohe Komplexität ist die Vielzahl an Fahrzeugfunktionen, die durch das Zusammenspiel verschiedener mechatronischer Komponenten realisiert werden. Virtuelle Techniken und neue Entwicklungsmethoden helfen dabei, die daraus resultierenden Herausforderungen in der Fahrzeugentwicklung zu beherrschen. Anhand von virtuellen Produktmodellen lassen sich bereits in der frühen Entwicklungsphase Analysen, Designstudien und Simulationen durchführen. Hierdurch können sowohl die Produktqualität erhöht als auch Entwicklungszeiten gekürzt und Kosten eingespart werden. Wenn Sie sich für eine Arbeit im industriellen Umfeld im Bereich der virtuellen Techniken interessieren, nehmen Sie bitte mit uns Kontakt auf, so dass wir uns über ein geeignetes Thema unterhalten können. Grundkenntnisse in Computer-Graphik, Programmierung und XML. Objektlokalisation und -verfolgung findet zahlreiche Anwendungen. Durch die Positionsbestimmung der menschlichen Hand könnte man z.B. eine Interaktion mit der Umgebung oder dem System (z.B. Handy) selbst realisieren. Durch einfache Zeigegesten mit der Hand könnten Objekte in der realen Welt markiert, photographiert und digital archiviert werden. Besonders reizvoll ist die Realisierung des Verfahrens auf mobilen Geräten, z.B. auf dem iPhone von Apple. Wegen der automatischen Helligkeitssteuerung und Weissabgleichs in den Geräten und weil sich die Lichtverhältnisse schnell ändern können sind robuste und dennoch schnelle Verfahren zur Objektdetektion erforderlich. Auf Kanten-Features basierende Verfahren haben diese Eigenschaft, da sie sowohl auf Helligkeits- als auch auf Farbveränderungen robust reagieren. 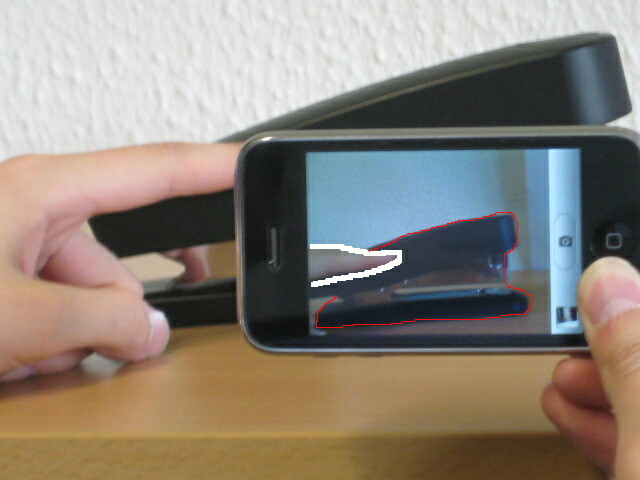 Portierung eines von uns entwickelten kantenbasierten Verfahrens zur Objekterkennung auf das iPhone. Hilfreich sind Grundkenntnisse in C/C++. Bei der Kollisionserkennung geht es darum, zu erkennen, wann sich im Computer repräsentierte 3D-Objekte durchdringen. Dies ist eine fundamentale Technologie in zahlreichen Bereichen der Informatik, z.B. der Computergraphik oder der Robotik. Diese 3D-Objekte werden meist in so genannten Szenengraphen organisiert. Dabei handelt es sich um eine objektorientierte Datenstruktur, mit der die logische und räumliche Anordnung der darzustellenden Szene beschrieben wird. Eine direkte Anbindung einer Bibliothek zur Kollisionserkennung an ein Szenengraphensystem kann von der effizienten Speicherung der 3D-Objekte profitieren, andererseits wird dadurch die Portabilität allerdings enorm eingeschränkt. Eine an der TU Clausthal entwickelte Kollisionserkennungsbibliothek basiert derzeit auf dem freien Szenengraphensystem OpenSG. Ziel der Diplomarbeit ist es, diese Bibliothek von der engen Anbindung an OpenSG zu lösen. Es sind also saubere und effiziente software-technische Mechanismen zu entwickeln, die es mit möglichst minimalem Aufwand erlauben, die Kollisionserkennungs-Library auch mit anderen Szenengraphensystemen verwendet werden kann. Dabei stellt insbesondere die plattformübergreifende Behandlung von Multithreading eine besondere Herausforderung dar. Grundkenntnisse in Softwareengineering und C/C++. Nützlich aber keine Voraussetzung sind Erfahrung mit OpenGL, OpenSG oder einem vergleichbaren Szenegraphensystemen, plattformunabhängiger Programmierung, Multithreading und linearer Algebra. Bisher wurden in der Computer-Graphik fast ausschließlich Algorithmen zur Darstellung von Geometrie in Hardware “gegossen”. Das Erkennen von Kollisionen zwischen graphischen Objekten ist aber eine weitere sehr zeitaufwendige Berechnung, die in vielen Bereichen benötigt wird (Spiele, Animation, Simulation, Virtual Prototyping, etc.). Darum haben wir zusammen mit der Universität Bonn eine spezielle Hardware entwickelt, die in einen PC eingesteckt werden kann. 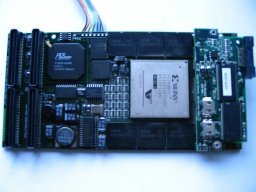 Diese Hardware ist inzwischen (auf einem FPGA) implementiert, so dass nun eine prototypische Applikation entwickelt werden soll, die diese Hardware verwendet. Zunächst eine Anbindung dieser Hardware zu implementieren. Danach soll eine kleine physikalisch-basierte Simulation von starren Körpern als “Demo” für diese Hardware implementiert werden. C/C++, Interesse an system-naher Programmierung und der high-level Programmierung einfacher physikalischer Sachverhalte. Bei der Kollisionserkennung geht es generell darum, zu erkennen, ob sich zwei graphische Objekte berühren oder gar durchdringen. Meistens sind diese Objekte in Form von Polygonen gegeben (sog. “polygon soups”), aber andere Repräsentationen sind mindestens ebenso interessant. Kollisionserkennung ist eine wichtige Basistechnologie für viele Bereiche der Computergraphik, z.B. Animation, physikalisch-basierte Simulation, Interaktion in virtuellen Umgebungen, Robotik, virtual prototyping, etc. Die zur Zeit gängigen hierarchischen Algorithmen scheinen an eine Grenze zu stoßen. Deswegen suchen wir hier nach neuartigen Algorithmen in anderen Richtungen. Ein weiteres großes noch weitgehend unerforschtes Gebiet sind Algorithmen zur Kollisionserkennung von deformierbaren Objekten. Diese sind natürlich eine Voraussetzung für die Simulation von Kleidern, Bauteilen aus Plastik oder Gummi, etc. Grundkenntnisse in Computer-Graphik und linearer Algebra, C/C++. "Nice-to-Have" wäre Unix/Linux, das läßt sich aber schnell nachholen. Im Bereich der Virtuellen Realität interessieren uns vor allem intuitive und natürliche Interaktion. Das langfristige Ziel ist, die Interaktion mit virtuellen Umgebungen so natürlich zu gestalten wie unsere täglich gewohnte Interaktion mit der realen Umwelt. Insbesondere die Hand (genauer gesagt: die virtuelle Hand) wurde bisher vernachlässigt, obwohl sie eigentlich unser wichtigstes “Werkzeug” ist. Deswegen bieten wir verschiedene Themen zu diesem Komplex an. Ein Ziel ist z.B. das “natürliche Greifen”. Dazu muß einerseits eine realistische, deformierbare Hand modelliert werden, andererseits muß das Greifen eines Objektes an sich simuliert werden. “Nice-to-Have” wäre Unix/Linux, das läßt sich aber schnell nachholen. In the automotive industry, a function-oriented development helps to implement vehicle functions as mechatronic systems and to master the increasing product complexity. 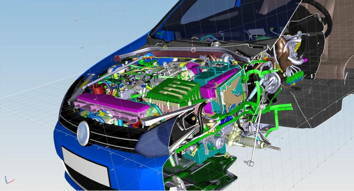 In combination with CAD data, automotive function architectures can be visualized as complex geometric data. 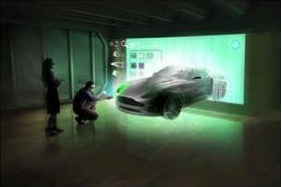 Current visualization systems offer different types of visualization. However, there are little cues on which kind of visualization is best suited to support consensus building, depth perception and general communication of such complex geometric data. For this thesis, the student needs to implement different variants of virtual product data visualization within a 3D visualization system. The target of research is to develop and use appropriate methods to evaluate these variants. The goal of this thesis work is to find out which visualization variants are effective for displaying and communicating function-oriented, geometric data. 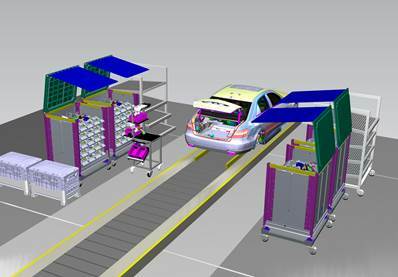 Technically, it is recommended to use an established visualization system which is also used in automotive industry (Siemens Teamcenter VisMockup), however, another system with similar features can also be used. Evaluation of different visualization techniques and finding which are effective for understanding communicating and function-oriented, geometric data. Basic knowledge of computer graphics. Experiences in programming and CAD tools are welcome, but not a hard requirement. In the automotive industry, a function-oriented development helps to implement vehicle functions as mechatronic systems and to master the increasing product complexity. 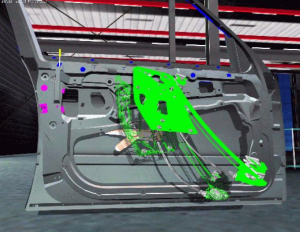 In combination with CAD data, automotive function architectures can be visualized as complex geometric data. However, current visualization software is not capable of fully exploiting the potentials of function-oriented metadata which is integrated with geometric CAD data. This master thesis aims at developing advanced methods and features for a 3D application that enable an intuitive exploration of geometric data which is enhanced with function-oriented metadata. One possible example of those methods is the following: A user right-clicks on a geometric part and a context menu brings up function-oriented information about the part, like its type, relation to other parts, etc. 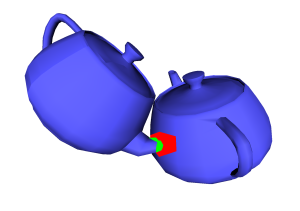 Another example would be that a user is interested in which functions this part is related to and in highlighting the elements of these function in 3D. This thesis requires a prototypical implementation of such novel features. The thesis should evaluate these features and explore the question, which features are needed to ideally explore the data. 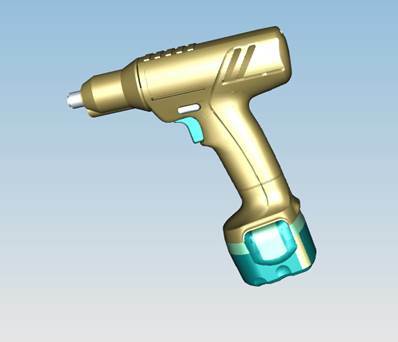 The implementation can be done in any 3D visualization software that is capable of handling representative data. Implementation and evaluation of novel features in a 3d visualization system to utilize and explore geometric data that is enhanced with function-oriented metadata. Basic knowledge of computer graphics and programming experiences are required. In the automotive industry, a function-oriented development helps to implement vehicle functions as mechatronic systems and to master the increasing product complexity. 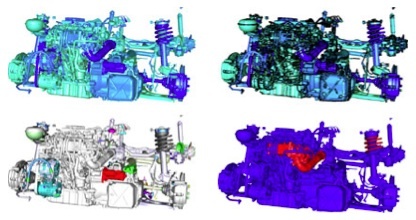 In combination with CAD data, automotive function architectures can be visualized as complex geometric data. While it is kown that stereoscopic visualization may increase the depth perception of geometric data, the significance of this effect has not been investigated for complex, function-oriented product data for automotive development. Conducting a user study in order to investigate the benefit of stereoscopic visualization for communicating function-oriented data within automotive development. Physikalisch-basierte Simulation spielt eine wichtige Rolle in vielen Anwendungsgebieten der Computer-Graphik. Dabei ist oft die Kollisionserkennung ein Bottleneck. Für diese wird darum in Kooperation mit der Uni Bonn eine Hardware entwickelt, die Kollisionstests zwischen 3D-Objekten beschleunigt. Ziel dieser Diplomarbeit soll es sein, einen Simulator und Demonstrator zu entwickeln, der diese Hardware anbindet und verwendet. Die Verwendung soll durch eine physikalisch-basierte Simulation starrer Objekte erfolgen (z.B. Teilerüttler oder Sanduhr); die zu erstellende Schnittstelle (API) setzt auf einem schon vorhandenen Gerätetreiber zu dieser Hardware auf und soll in die vorhandene Kollisionserkennungsbibliothek integriert werden. Grundkenntnisse in Computer-Graphik und linearer Algebra, C/C++, Unix/Linux. Eine von vielen Anwendungen von VR ist die Visualisierung von Städten. Damit kann man z.B. anschaulich Umweltgrößen (Temperatur, Ozon, Schatten) darstellen, den Verkehrsfluß oder das zukünftige Aussehen eines neugestalteten Platzes. Insbesondere ist diese Technik gut geeignet, Entscheidungsträgern und Laien (nämlich den betroffenen Bürgern) diese Dinge zu veranschaulichen. Was z.Z. noch fehlt ist die Interaktion mit solchen virtuellen Städten. Das Ziel sind hier möglichst intuitive Metaphern, um schnell eine bestehende virtuelle Stadt zu modifizieren, d.h., sogenannte “was wäre wenn”-Untersuchungen zu machen (z.B. ein Haus verschieben, eine Straße durch einen Tunnel führen, etc).